In my early adolescence (think 13), I spent many hours doing stranger and stranger ‘personality’ tests in an attempt to discover myself. I would copy paste the results on a Microsoft Word document and pore over them later, analyzing every word in those descriptions (probably written by girls only a little older than me) and convincing myself that these computer-algorithm-based assumptions told the truth about me. It was, as I said, a phase. Of course, I did tweak my results at times, especially when it came to those ‘Which Harry Potter house would you be in?’ or ‘which character are you?’ tests. I always worked it so that I got Gryffindor (I was such a populist) and more often than not, aimed to be classified a ‘Harry Potter’ in the ‘character’ tests. When I was a little more honest with my answers, as I grew older, I was told I should be in Slytherin or Ravenclaw, and that I was Ginny Weasley. The last, I think, was chiefly because I answered with absolute adoration when asked how much I liked Harry himself, admitting that I wanted to marry him. And then, at the age of twenty three going on twenty four, I took a mandated MBTI test. 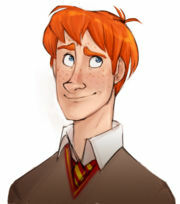 And was told I now had the same personality initials as … Ron Weasley. Yes, this was a surprise. No, I had never seen myself as Ron, Ron—the least conventionally ‘academic’ of the trio, the most traditional in terms of blood status, the most prone to being used for random comic relief. I am not a Ron, I thought. I don’t like to think of myself as a side-kick, a second-fiddle. I am not perennially insecure about my own abilities, needing a boost before every test. I am not the ‘funny’ one in my group. The shock and, dare I name it, outrage that gripped me for a couple of seconds after getting the result is telling, I think. It reveals a lot about my inherent snobbishness (seriously, I might have preferred the rich and aristocratic Draco Malfoy, budding Hitler Youth though he is), but it also says something about Ron. If someone who’s read the books back to front countless times can’t recall anything especially emulation-worthy about him in a second of being confronted by his name, whither the appeal of this character? I sat back, and I thought about it, and I realized what my problem with Ron was. Through books 1 to 4, Ron is undoubtedly Harry’s best friend. He is, in many ways, Harry’s guide to the wizarding world, volunteering as ‘second’ in a planned midnight duel with Draco, sacrificing himself in a game of chess to enable his friends to move forward, providing Harry a family that welcomes and takes him to their hearts. It is a matter of course that these two ‘partner off’ in most lessons, including reading each other’s tea leaves in that memorable first Divination class in Prisoner of Azkaban. Harry does not seem to share the same sort of unquestioned, deep-seated bond with Hermione; in Azkaban, there is a period of time when Hermione’s ‘interference’ results in a fight within the group, with Ron and Harry refusing to speak to her. When compared to the rift that Ron’s jealousy creates within the Trio in Goblet of Fire, however, and the amount of emotional energy Harry expends in ‘hating’ Ron, the break with Hermione seems inconsequential. Rowling devotes large portions of her text to how angry and betrayed Harry feels at Ron’s seeming lack of interest in his fate. Ron’s betrayal was necessary for his, as well as Harry’s, character development. The ever-loyal best friend was shown to have depth and a bit of a petty streak (only natural when you’re usually the underdog, even in your own family), and Harry was forced to make do without one of his usual emotional crutches and so begin his long and lonely hero’s journey. It also allowed him to bond with Hermione, who really begins to steal the limelight at this point in the series. So given that the betrayal has already happened once, and Ron has walked out on Harry when needed already, why have a repetition of the same in Deathly Hallows? Aside from the improbability of Ron managing to get home and stay undercover without putting both his family and himself in grave danger (in the middle of a media campaign which paints his known best friend as Undesirable No. 1), his departure has no significant effect on the plot. He might as well have stayed, stewed, rescued Harry when needed and then destroyed the Horcrux. 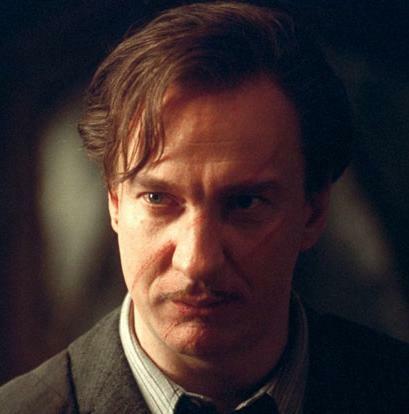 The information he brings back, that Voldemort’s name is now Taboo, is relayed too late to be of any use. This, really, is why I don’t have great fondness for Ron, or the way Rowling treats him in the latter half of the series. The staunchly loyal strategist with a marked flair for improvisation (he was the one who bashed the troll with its own club in the infamous bathroom scene in Philosopher’s Stone) becomes a young man who needs a book to charm the supposed love of his life (who he’s known for six years), who chooses the comforts of home and effectively abandons his best friends and is the only one of the Trio to persist in calling Voldemort ‘You-Know-Who’ (though he is, ironically, vindicated for his nervousness). He’s even stupid and petty in matters of romance, his insecurity laid bare when Ginny lashes out at him and calls him jealous because both Harry and Hermione have ‘snogged’ people. The best Ron has done, Ginny whines, is be kissed by Auntie Muriel. 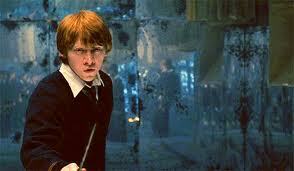 Ron had a big moment in Book 5, when he becomes prefect and is given responsibility that even Harry does not have. Again, we are witness to his surprise and insecurity when he says that he expected Harry would get the title. Of course, it turns out that the only reason, ostensibly, Harry didn’t get the job was because Dumbledore thought he had far bigger worries. Poor Ron. I do think the Horcrux-destruction in Hallows was very important and certainly called-for, given the sustained reminders we’d been getting of Ron’s insecurity and inferiority complex, but I’m not sure it was enough. I don’t deny that the movies have also played a huge role in the undermining of this character, the most memorable being the stealing of Ron’s lines in Azkaban in the Shrieking Shack. In the book, Ron, bed-held by a broken leg, screams out ‘If you kill Harry, you’ll have to kill us too!’; in the movie, Hermione, both legs sound, throws herself in front of Harry and delivers the same line. Ron is silent. And I’m not even going to mention the fact that in Hallows Part 2, Hermione volunteers to accompany Harry to the Forest while Ron stands around looking macho. Okay fine, I mentioned it. I feel sort of, sad, when I think of Ron now. I feel like I often overlook the brave little boy who faced a cold, stone-faced White Queen, not knowing what was going to happen, to help his friend. The unquestioning right-hand man who braved his worst fears and went into the Forbidden Forest, convincing himself with a glance at his Petrified friend. The friend who wasn’t too proud to come back and confess to his mistakes, not once, but twice. Instead I remember the insecure boy who runs around screaming ‘HERMIONE!’ when he really should be keeping his head cool and figuring out a way to get the hell out of that basement. But at the same time, I can see why I, or most people for that matter, would be Ron. Constantly beset by insecurity and doubt, measuring ourselves against other, seemingly more ‘collected’ people and feeling and responding to peer pressure in the most immature ways possible. Ron’s is a messy growing up, with ups and a hell of a lot of downs. Ron’s is, therefore, perhaps the most realistic growing up. We don’t all have Dark Lords and prophecies riding on our shoulders, but we sure as hell do have pettiness, jealousy and insecurity to contend with. And that’s when Ron becomes a hero. A few months ago, I sent out a survey to a bunch of friends. It concerned (wait for it) the Harry Potter books and movies, and included the question ‘Who is your favourite character’. The results, when they came back, surprised me. Sirius Black had a large number of takers, as did Hermione Granger. Contrary to the Guardian’s expectations, not a single person chose Severus Snape. And only two people mentioned harbouring a ‘soft spot’ for Harry himself. For a boy who has won the hearts of children and adults alike, Harry James Potter has few groupies of his own, few people who would declare that he was/is their ‘favourite’ character in the series named after him. A few years ago, I would have, right until (and chiefly because of) The Order of the Phoenix. Thanks to ‘growing up’ alongside of him, I felt especially connected to Harry (as millions of my fellow readers no doubt did), and when he angsted and argued his way through OoTP, I saw my own teenage angst given heroic proportions in this over-burdened fifteen-year-old. Harry was me, only better, because he had a Dark Lord to defeat and he could do magic. All I had, on the other hand, were exams to get past and maybe highschool romances to negotiate, and even those were low on the ground and barely sparking. So if I was Harry, if most of those who read the books at that age felt they were Harry, that this boy spoke for them and it was his immediacy and utter normality in the face of all that world-shifting magic that made him so appealing, what caused him to lose his lustre? Why does a twenty-three-year-old me find Sirius Black a more compelling character than Harry? Is it simply because Sirius is an ‘adult’, older and therefore more relatable on a purely superficial level? I think the idea of his being an ‘adult’ is important, but not simply in terms of age. Why then did so many choose Hermione Granger, who is a mere ten months older than Harry? No, I think my waning interest in Harry himself is due largely to the fact that Harry, as a character, ceases to develop after the sixth book. The Harry we meet in Book 5 never grows up. 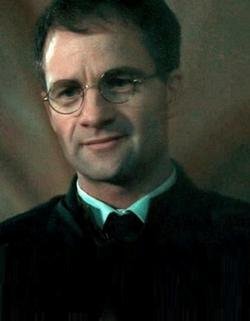 Instead, he becomes encased in a wooden, popular boy facade, one to whom the death of Sirius barely seems to matter, for whom a Slytherin automatically becomes a bad person*, who does nothing to protest the wholesale evacuation of a Hogwarts house based on the frightened actions of one person. This is a Harry who, no longer hidden in the shadows, struts about the halls of Hogwarts, cursing his fellow students with impunity (cough Sectumsempra cough) and when faced with the greatest quest of his life, relies on Hermione to get him out of trouble. In The Goblet of Fire, Sirius gives Harry a valid piece of advice: ‘The world isn’t divided between good people and Death Eaters’. The Harry of Book 7 seems to have forgotten that. Why else would he not open his Chosen mouth to halt the death march of the Slytherins? And why else does every ‘bad guy’ in the book get judged for his use of Unforgivables, but when Harry casts one it’s considered ‘gallant’? There is no question that the morals of the Potterverse are, at times, simplistic and skewed, and as you grow older, this becomes more apparent. A friend of mine recently posted this on my Facebook wall, and followed it up with this comment: I remain extremely disturbed that the entirety of House Slytherin was sent to the dungeons (!) at the start of HP7b, and are then never heard from again (!! ).Also, when we see Snape being awful to the Hogwarts students in HP6? He could well have been more chilled out about discipline if he’d wanted to; I think that’s just Snape being Snape. He really is that nasty, petty, small and mean, and being irrevocably in (unreciprocated) love with Lily doesn’t excuse that. If we are going to talk about skewed morals and quick generalizing of characters and their motivations, we should start with the Sorting system. While in the beginning it seems a fairly cool thing to drop a hat on someone and thus decide who their friends are going to be for the next seven years, on closer consideration it seems very, well, fast. Does an eleven-year-old child really have a ‘fixed’ set of traits? The Sorting system, whereby children are judged based on the proportion of ‘bravery’, ‘learning’, ‘loyalty’ and ‘cunning’ they have, cements them into one dormitory and high school clique for the rest of their seven years. The moment the Hat touches their heads, their future is decided. At least in Rowling’s brain, and since she is the god of this universe, that’s a daunting. 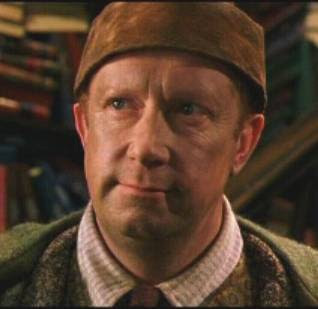 The Sorting, based on Harry’s feelings immediately prior to it and his confession to his son, Albus, in the Epilogue, seems to operate on two distinct principles: 1) the Hat knows its wearer better than the wearer him/herself; 2) the Hat takes into consideration the choice of the child under it. I’m no logician, but I’m not entirely sure these principles are compatible. If the Hat knows better than the wearer what the perfect House for said person would be, why would it take the child’s personal choice into consideration at all, unless the choice happens to be what the Hat itself would have chosen? For instance, if a muggleborn child sat under its brim and asked to be put in Slytherin, despite the hat’s best instincts (if it has any, which, based on its ability to ‘choose’ for each child, is probably the case), would it place her there? To take another example of what seems, to me, a complicated Sorting: Severus Snape’s. On his first train ride to Hogwarts, Snape talks of how Lily had ‘better be in Slytherin’, implying, of course, that that’s where he’s going. He is visibly and aurally disappointed when Lily gets sent to Gryffindor, but it doesn’t change his own house-result: the hat sends him off to Slytherin, and his future is, Rowling would have us believe, sealed. He falls in with a bad crowd, his latent nastiness swims to the fore, and he loses the regard of the woman he ‘loved’. Later, when he displays the bravery and decency asked of him in his mission to bring down the Dark Lord, his bravery is applauded as something outside of his expected nature, outside of the nature of any ‘slimy’ Slytherin. The House system would not appal me as much as it does were it not for the fact that it operates disturbingly like the most rigid and unshakeable of cliques in the toughest high school. Once you’re labelled, you’re stuck. 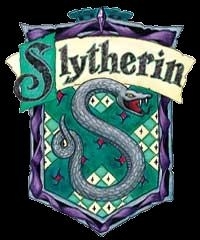 Thanks to its ‘dark’ reputation, most of the kids going into Slytherin are members of pureblooded families who hold to certain beliefs, well aware of the expectations the rest of the school has of them. No one who enters the Slytherin common room did not expect to be there—those from different, less bigoted families would have chosen to be elsewhere, and surely the muggleborns, if they stood a chance of getting in at all (if allowed by the Hat) would have heard enough about the House on their journey north. Where, then, the chance for change? 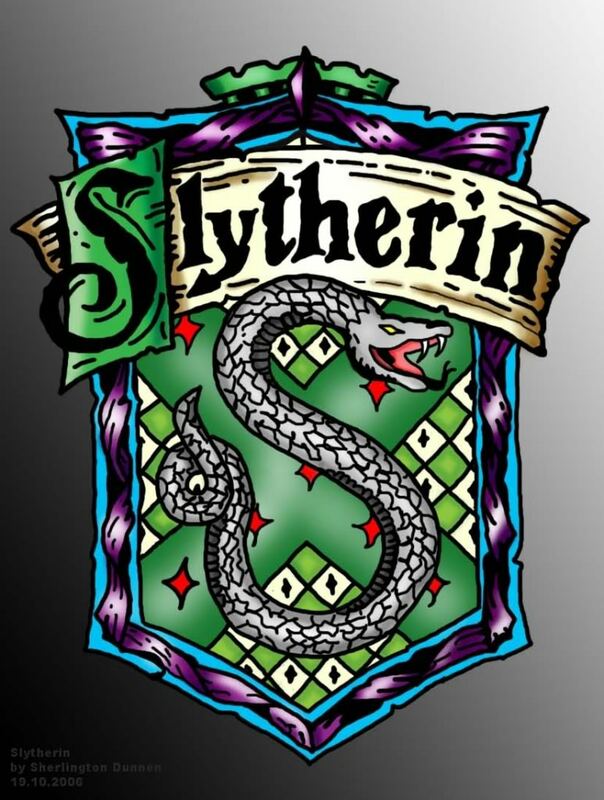 Slytherins are branded from day one, and it’s no wonder they develop an ‘us versus them’ mentality that results in the trademark Quidditch cheating, the bullying of achievers from other houses and the protectionism that comes in the form of cozening from their head of house, Snape. I read a fanfic which glanced briefly at the effect of the sudden turning of tables at the Farewell Feast in Harry’s first year, where the reigning champion, Slytherin, was summarily dethroned by a sudden rush of, what would be to most of the school, unexplained point-awards to Harry, Ron, Hermione and Neville. Dumbledore, when doling out these last minute points, does not offer full explanation for them, and Snape, whose POV the fic followed, noted the incomprehension and betrayal on the faces of his students. It was brief, but emotionally hard-hitting enough. Then again, that’s the power of fanfic, to make you see and feel what you never thought of before. I remember how the audience hooted and clapped when Slytherin was denounced and banished, as though they couldn’t see what was happening on screen, as though they couldn’t see what was wrong with it. To have a respected character like McGonagall deliver the smackdown made it even worse, it seemed to validate and give a ‘positive’ sheen to the act. This one scene sort of dampened the whole movie for me, and I couldn’t believe that no one, not Hermione, the woman who fights for the repressed, or Harry, shining saviour, lifted a voice to protest it. In an interview, Rowling stated that after the war, Hogwarts was rebuilt, but Slytherin house retains its ‘dark reputation’. This is quite obvious, given that nineteen years after the war, Albus Severus (who seems to have lived under a rock his whole life, given that he has to ask why people are ‘staring’ at his family) is terrified of being sorted into the house of snakes. What has Albus Severus heard his whole life, that makes him so terrified? Surely Harry, who hasn’t seemed to have told his children his own story, hasn’t filled his head with anti-Slytherin propaganda? Unfortunately that would seem to be the case. Unless it was his brother, of course, or his aunt, uncles, grandparents, friends… Considering Albus’ general ignorance (really, how could he NOT be used to people staring at his father? 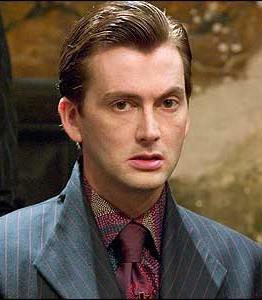 ), I would assume it was someone near and dear to him who poisoned him against Slytherin. And this happening to a child born after those troubled times is just sad. It shows the troubled times, with all their division and strife, are not entirely past. So all is not well, after all. I started this post with an entirely different agenda, and wandered on to another track. It would seem I need more than one posting to deal with the issues and thoughts thrown up by my survey, and this is just the beginning. Next time, I’ll examine the portrayal of ambition and ‘cunning’ in Rowling’s universe, and the implications of this for various characters and groups in the series. *In Harry’s defence, even Dumbledore operates on a similar simplistic basis. The moment Snape, a Slytherin, shows himself to braver than most men, Dumbledore responds with a ‘Perhaps we sort too soon.’ Because of course ‘Slytherins’ can’t possibly be brave. 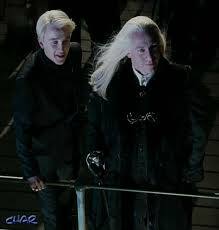 ^ Except for Draco, who gathers up Crabbe and Zabini. Who knows where the film-world’s Goyle disappeared. This evening, I revisited a piece of music that was a constant companion of mine last winter. It rang out in my little hostel room, its re-run frequency reaching its peak around 5:30- 6:30 in the evening, as the season leached sunlight from the day. It’s not the most cheerful thing to listen to when you’re getting used to seasonal shifts, or in a constantly weepy mood, or living in a chilly hostel room with the threat of exams hanging over your head. But it’s beautiful and mysterious, and is so perfectly ‘Potter’ for those very reasons. If there’s one thing the Harry Potter movies did well, it was the music. You can almost hear the growing darkness as you progress musically through the series- from the soaring and magical ‘Hedwig’s Theme’ that forms the backbone of the soundtrack for the first two movies, to the bittersweet air of ‘Lily’s theme’ that riddles the second half of the seventh. As Harry grows older, the music ages with him, highlighting the increasingly personal nature of his fight against the Dark. ‘In Noctem’ was originally part of the movie- sung by the Hogwarts choir in a deleted scene. As clouds gather and ominous thunder rattles the windows of the castle, the various residents hold their breath, waiting for something momentous to happen. That something momentous turns out to be the attack on the school, orchestrated by Draco Malfoy (whose role in the book made me believe that he would turn out to be an important character in ‘DH’. Alas, I was wrong). This is the invasion that results in the death of Dumbledore, an event which explains the lyrics of the song (‘Tell the ones, the ones I love, I never will forget’) and the final farewell they imply. I think ‘In Noctem’ fits in wonderfully with the overall darker, more mature tone of ‘Half Blood Prince’ (the movie, the book read like a typical high school romance in parts). It’s a shame they cut this scene out, it would have been good payoff for all the stalking we’d done of Malfoy. Not to mention it would have finally shown him in the decisive moment of swinging his feet off his bed and walking into the war. Of course, one could argue that Malfoy started this journey when he took the Mark. But when we see him in the first few scenes of the movie (and the first chapters of the book), he still comes across as a schoolyard braggart, a kid in over his head and not realizing it, more taken with the glamour of being part of something that his idolized father belongs to than understanding what exactly that movement stands for, or the sacrifices it will demand of him. Over the year, he comes to realize the seriousness of Voldemort’s threats and the importance of the success of his mission. At the end, he is as adult as he will ever be in the pages of the Potter books- he makes a decision and then lives to regret the consequences. I loved the development of Malfoy’s character in ‘HBP’, and I think Tom Felton did a great job translating his struggle in the movie. I rather wish Rowling had continued to give him some amount of attention in ‘DH’- the omission of Draco character building was one of the major problems I had with the book. It is as though he is fated, like the rest of his Slytherin housemates, to pass unlamented in noctum, to stage their struggles and transitions to adulthood off-screen, or on the director’s floor with the other deleted, shorn bits of the films.